Canoeist David Danyluk doesn't live far from Winnipeg's Assiniboine River but he tends to spend more time paddling further afield. The sewage dumps are a black mark on the city's reputation, said Danyluk. "It's pretty embarrassing. If a child fouls a pool, a buzzer rings and everyone takes off. And here, it's a shrug from the city." 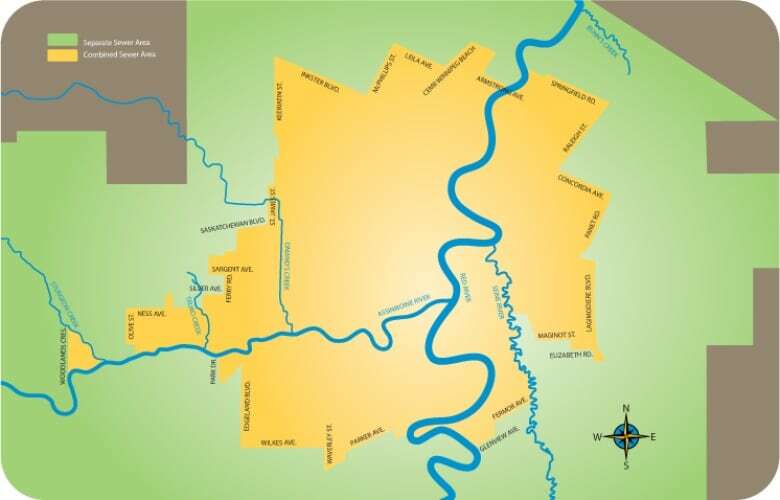 Some 3.2 million litres of raw sewage and rainfall runoff spilled into Winnipeg's river system last month but the incident was unusual only in scope. Winnipeg's problem stems from old infrastructure. About a third of the city relies on a combined sewer system — pipes that collect both raw sewage and runoff from rainfall or melting snow. "We're hoping to do some work with what they call green infrastructure — you know, you repave a back alley in a certain way so that it slows the drainage of (storm) water into the system," said Brian Mayes, a city councillor who chairs the city's water and waste committee. "Sewer items never really grab the public's attention the way potholes do, or crime, but I think increasingly people are commenting on it and they're concerned." "If we weren't importing water from another province, I think we'd be a lot more concerned about our discharges."